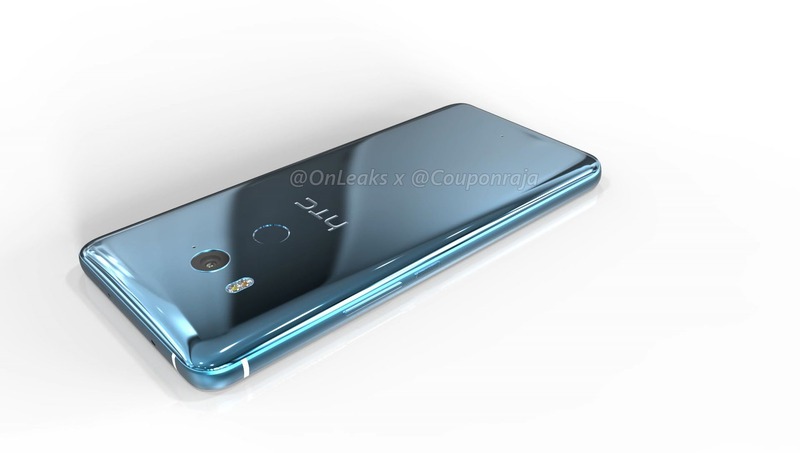 Just yesterday, we got to know a few specifications of the HTC U11 Plus that included an 18:9 Quad-HD Display, Snapdragon 835, 3,930mAh battery, single rear camera and more. 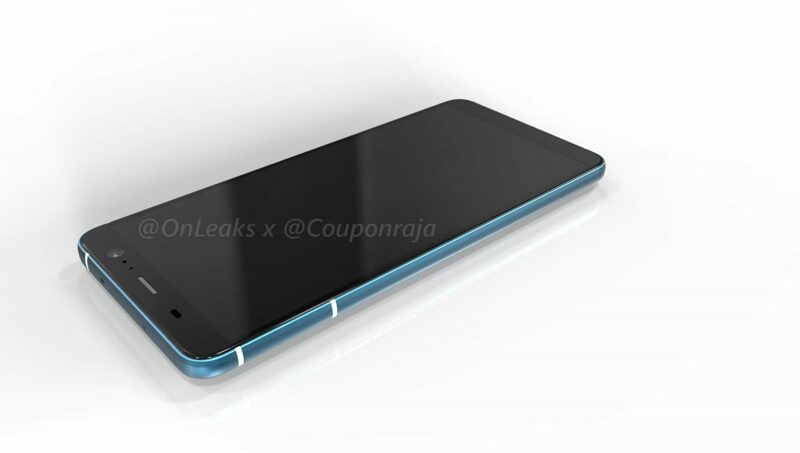 Today, we finally have the 3D renders and 360-degree video of the phone, courtesy of Steve Hemmerstoffer aka OnLeaks. The video gives us a really good look at the device from all the angles. From the first look, it looks like just another HTC smartphone for 2017, but then, when you look closely, you will notice the differences like the display, fingerprint scanner, etc. Starting off with the front of the phone, the HTC U11 Plus has finally got an 18:9 display due to which the fingerprint scanner is now placed on the rear. It is not a bezel-free display, but the side-bezels are very thin. On the top, there are sensors, front camera, and earpiece. Just like the U11, the U11 Plus will use the ‘Liquid Surface.’ In case you don’t know, Liquid Surface is, essentially, a color treatment that gives regular ol’ glass a more style-centric overhaul (Via – Stuff.tv). Just like the HTC U Ultra and U11, the company has ditched the 3.5mm headphone jack, so there is only one port on this phone, i.e., the USB Type-C port on the bottom. The primary microphone and speaker is also placed on the bottom. It would’ve been great to see dual front-firing speakers since the bottom chin has nothing on it. Now coming to the front, the phone has the same 3D glass layer on the back that makes different patterns as light falls on it at different angles. There is a single rear camera that, as per GFXBench, is a 12MP sensor. Below that is the rear-facing fingerprint scanner. There is also a secondary mic on the bottom side on the rear. The volume rockers and the power button are placed on the right side. The power button has a textured finish to differentiate it with the power rockers. The SIM card tray is on the top, and there seem to be multiple microphones on the phone including one on the bottom, two on the rear, etc. The phone measures 158.2 mm (l) x 74.6 mm (w) x 9.1 mm (d) which means it is thicker than the U11, probably due to a bigger battery. The launch is most likely happening in November. 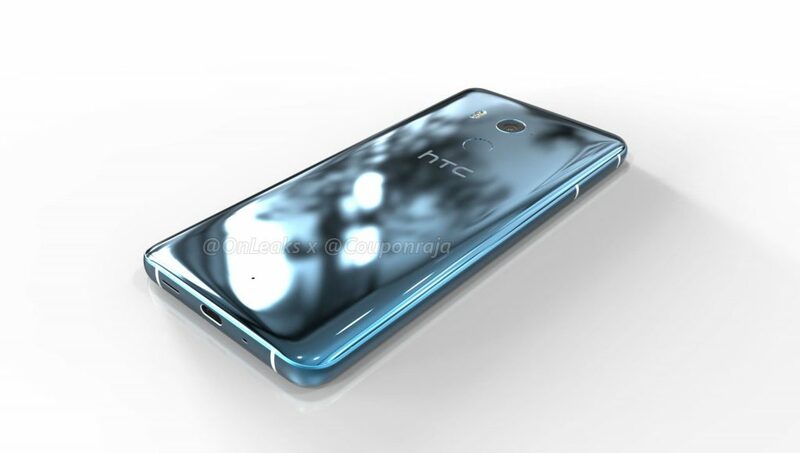 What are your views on the design of the HTC U11 Plus? Do let us know via the comments section.